Darren Weir again looks set to have a strong hand in the Group One handicaps for sprinter-milers after Land Of Plenty and Peaceful State’s one-two finish in a Listed race at Moonee Valley. Land Of Plenty and Peaceful State are among the horses Victoria’s premier trainer Weir has aimed towards the Sir Rupert Clarke Stakes (1400m) and Toorak Handicap (1600m). 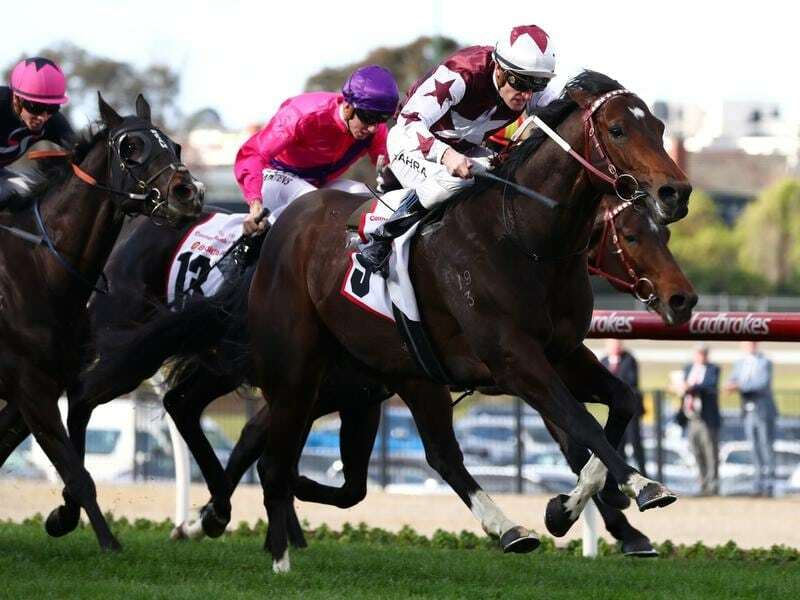 Land Of Plenty ($5.50) was having his second start of his spring campaign, after a close second in the Regal Roller Stakes, and rounded the field to win Saturday’s Strathmore Community Bendigo Bank Stakes (1200m) by half a length. “He ran great first-up and to tell the truth I was worried today because we had to go back and you’ve got to round the field up,” Weir said. “But he got going at the right time and didn’t get pushed too wide. A Group One placegetter as a three-year-old, Peaceful State was making his season return and flashed along the fence late to grab second. The leader Al Passem, trained by Ken Keys, was another long neck away third. The Group One Sir Rupert Clarke Stakes on September 22 is three weeks before the Toorak. “They are the right horses for those races,” Weir said. Weir won the Rupert Clarke in 2014 and 2015 with Trust In A Gust and Stratum Star, respectively, while Trust In A Gust also won the 2014 Toorak. Weir’s other Toorak Handicap winners have been Lucky Hussler (2015) and Tosen Stardom (2017).